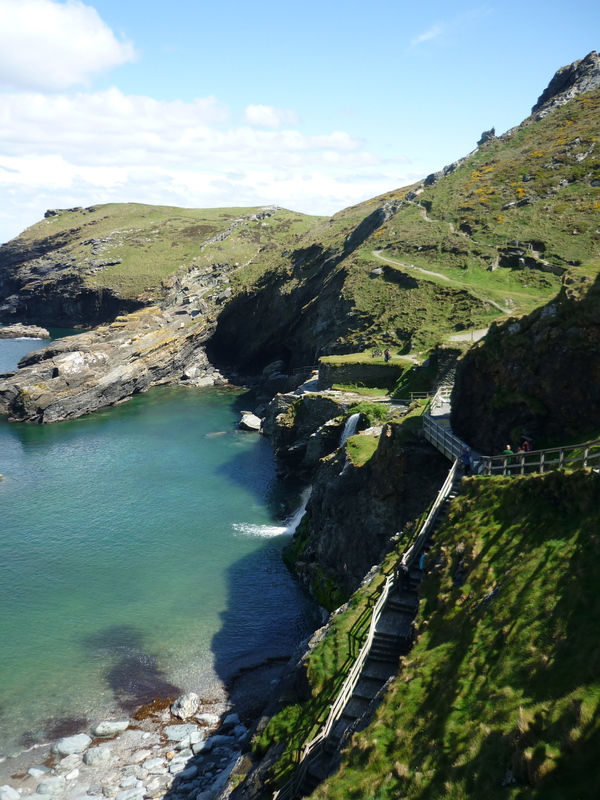 Tintagel is a small Cornish coastal village with one very important claim: it is the alleged birthplace of King Arthur (or according to some sources, the site of his conception – lol). 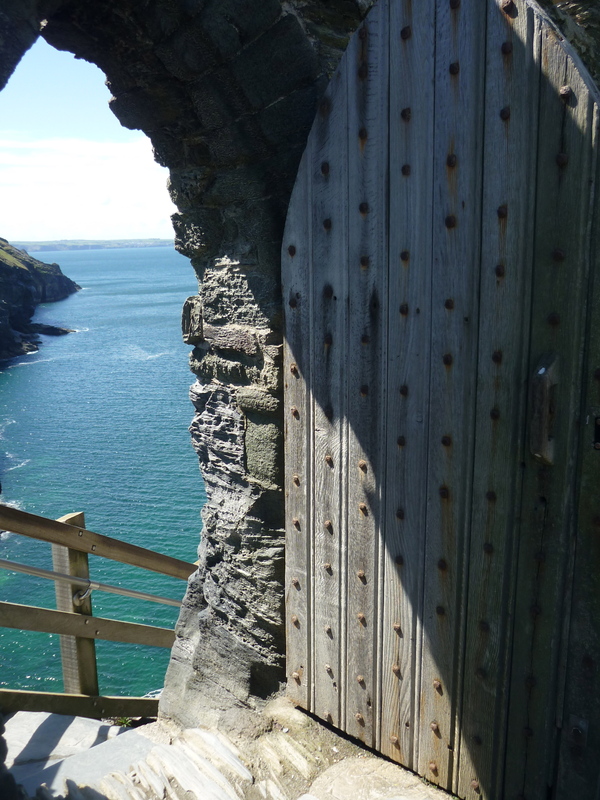 Not to be mistaken as the mysterious “Camelot,” Tintagel boasts an old castle ruin that mostly dates back to the 13th century, with evidence of Roman habitation as early as the 6th century (www.tintagelcastle.co.uk). 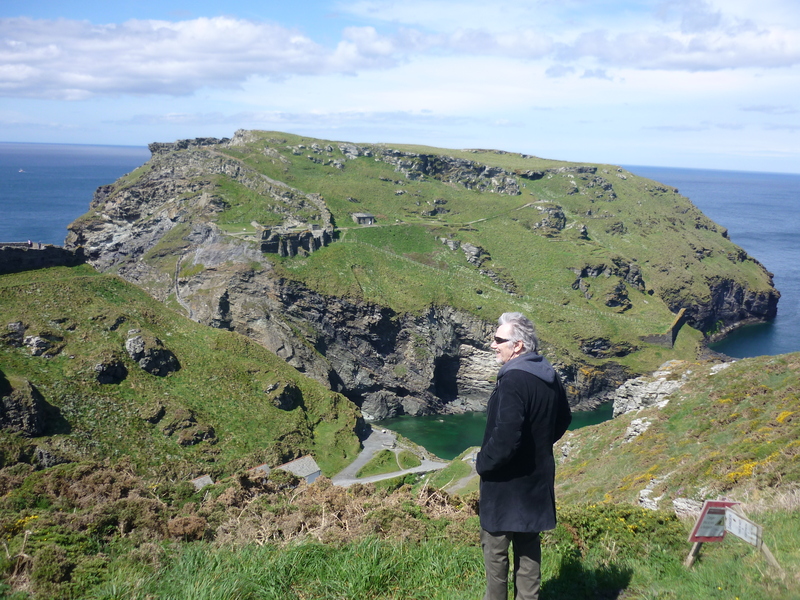 Arthur or no Arthur, the most spectacular thing about Tintagel Castle is its location. 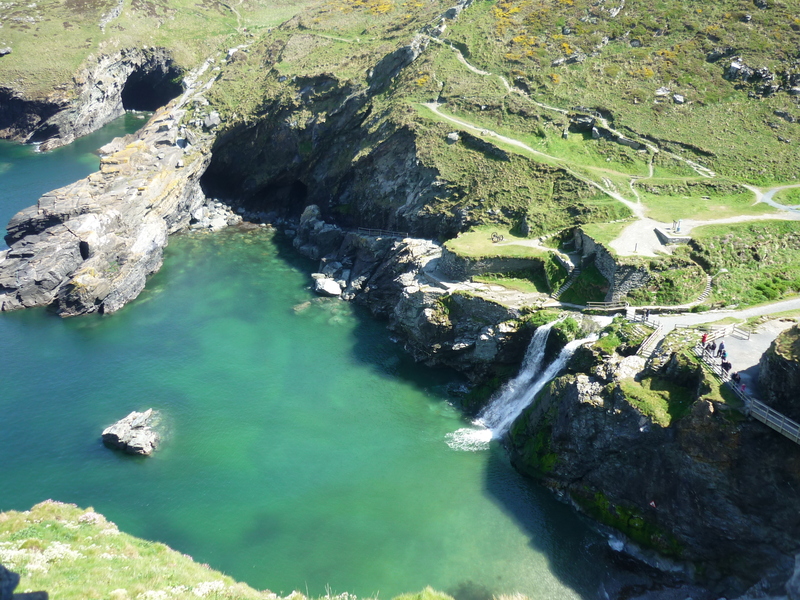 The Cornish coastline is some of the most beautiful and dramatic scenery I’ve ever seen. 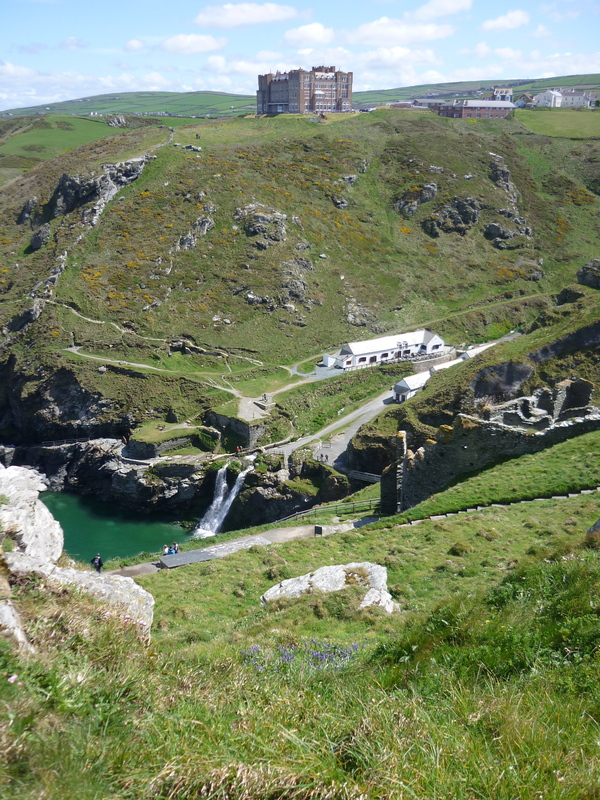 The castle is perched atop a plateau that juts out into the ocean. 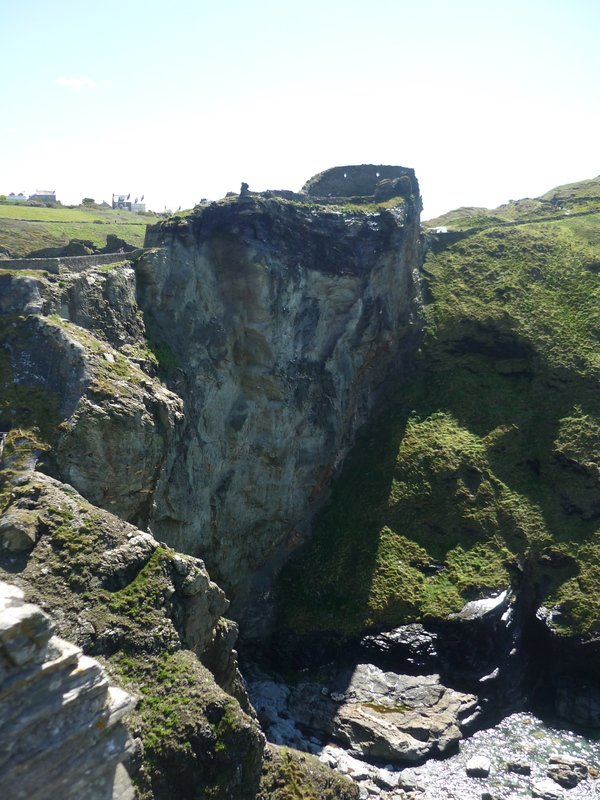 I imagine this being a perfect spot for a castle, as it would be terribly difficult to besiege. 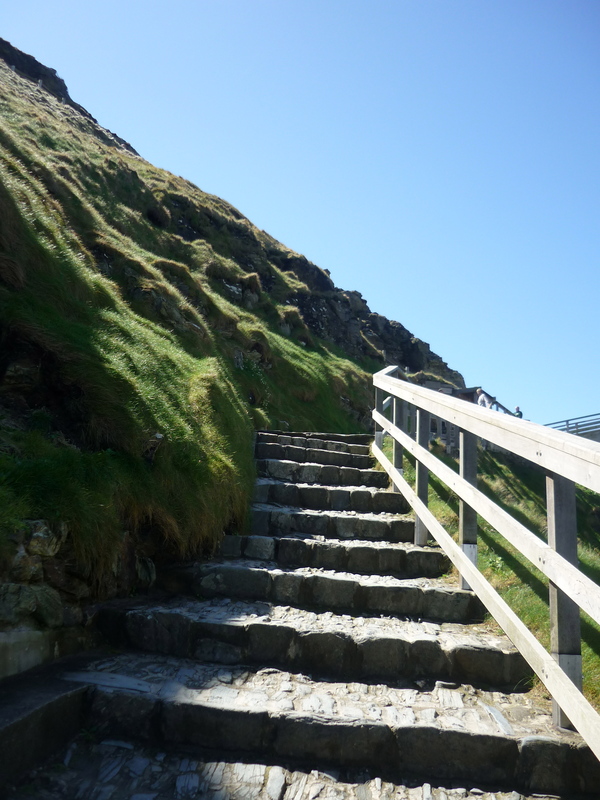 So many narrow steps! 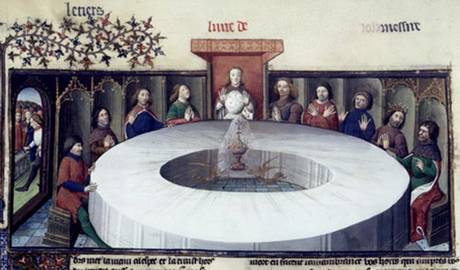 It would be impossible for an an effective attack by an army. 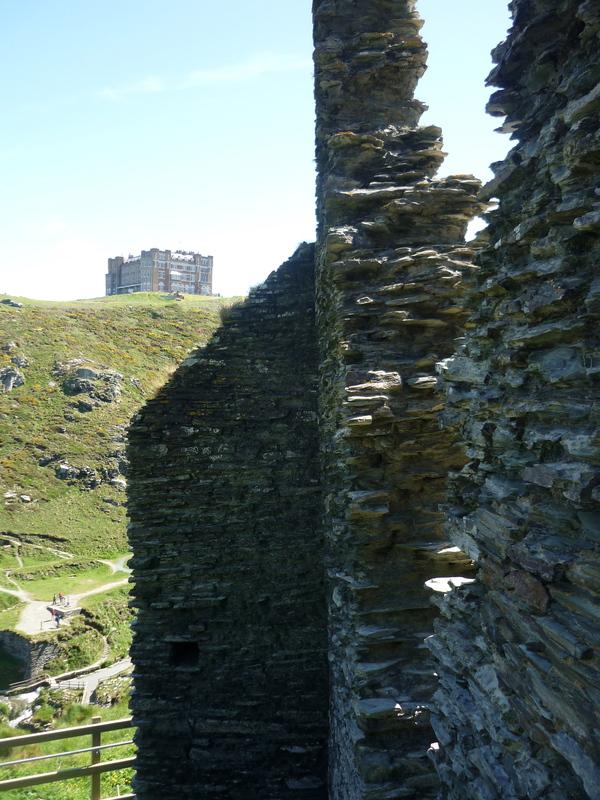 Not much of the castle remains, mostly just foundations. 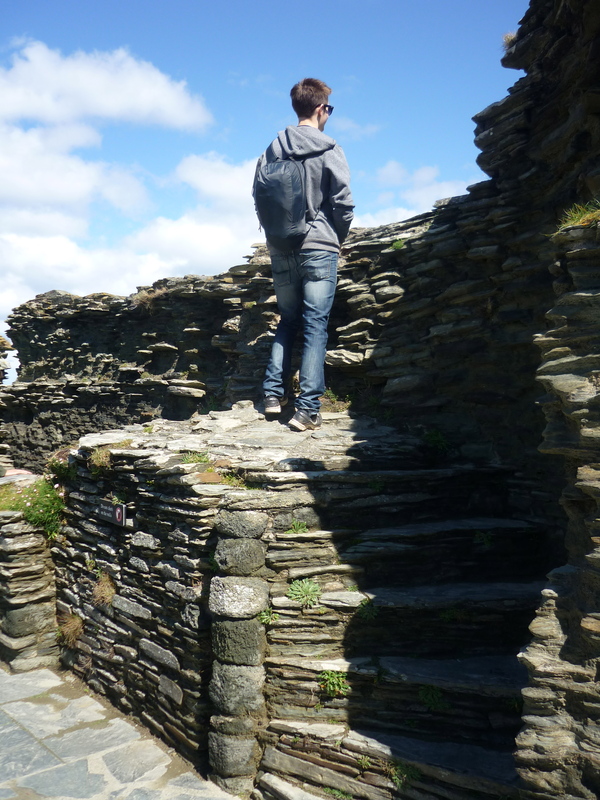 Some of the newer sections of the castle still stand, and are still, in every sense of the word, old. Newer section of the castle. 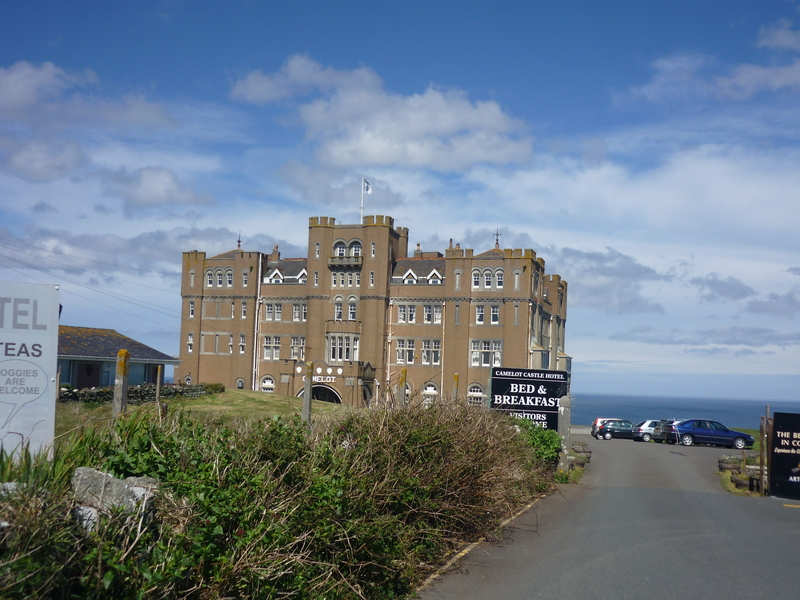 This hotel is often mistaken as Tintagel Castle by North American tourists who don’t understand what ‘old’ means. 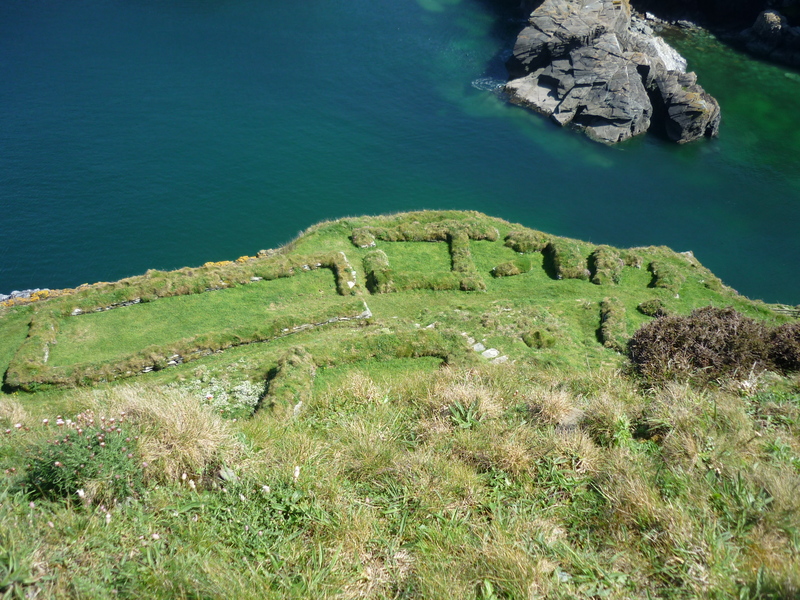 Like all good castles, Tintagel had it’s own church. 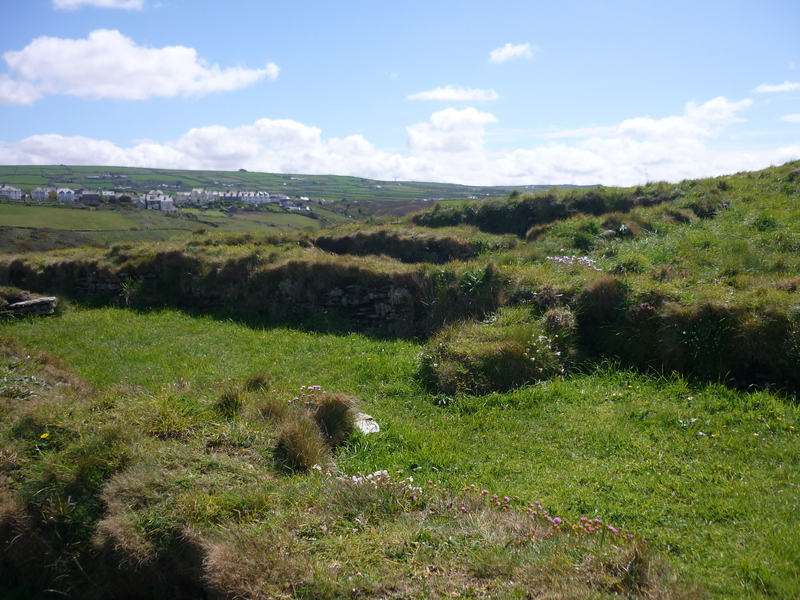 The church was not located on the plateau like the rest of the castle, but on the mainland. 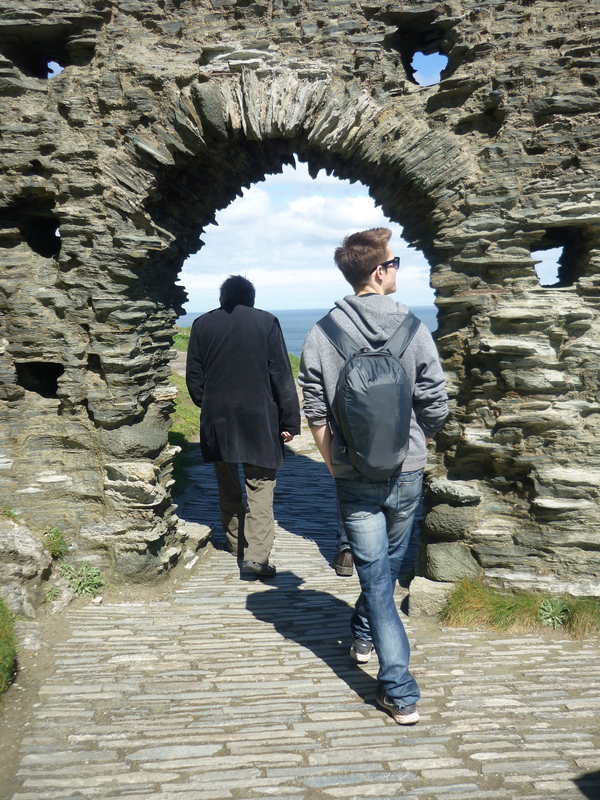 That meant if you wanted to go pray, you had to walk all the way down the steps and up again to the church. You had to really want it! 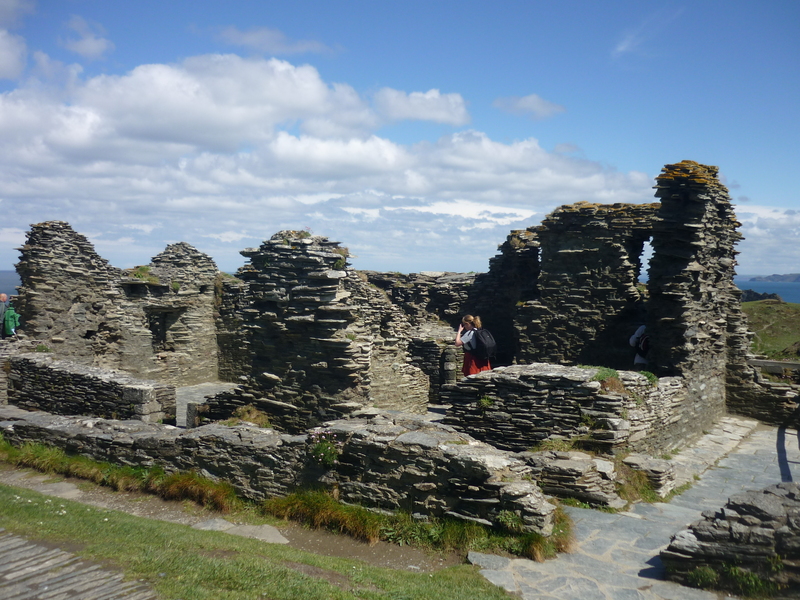 View of the church ruin from the castle. View of the castle from the church. 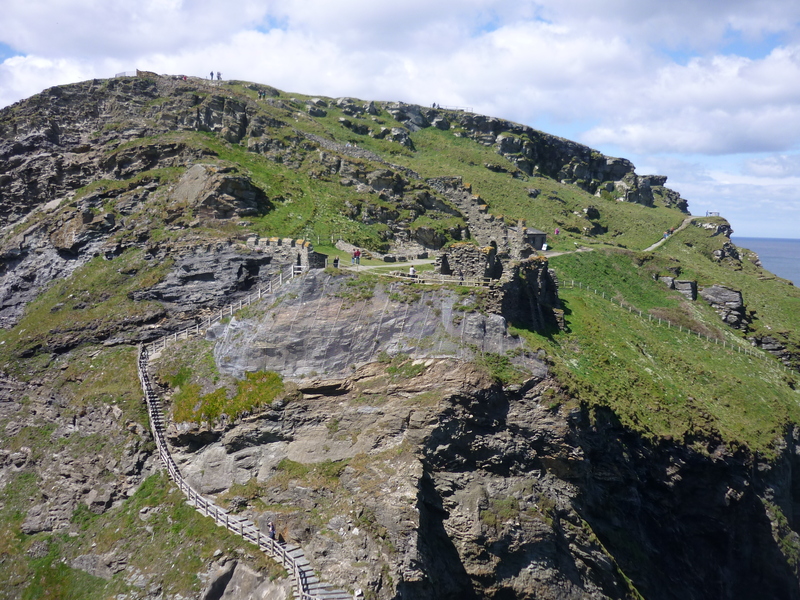 This was my second trip to Tintagel, and I will never, ever get tired of it! 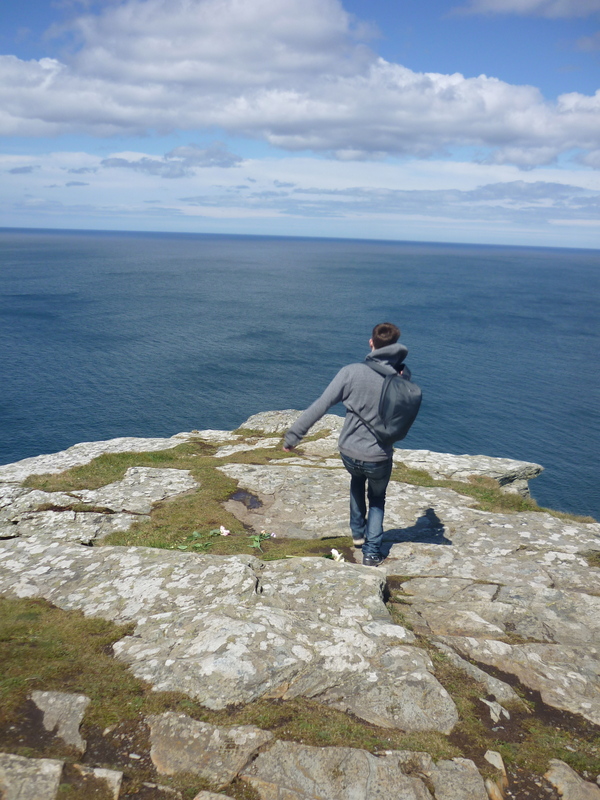 Lil’bro pretending to jump off the cliff.